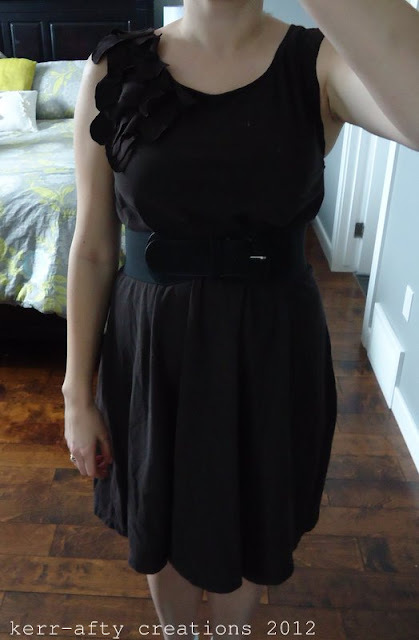 I decided to make myself an Easter dress this year as well as the girls. 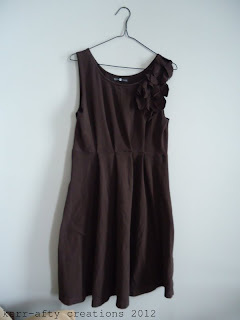 I had this old maternity dress sitting in my closet. 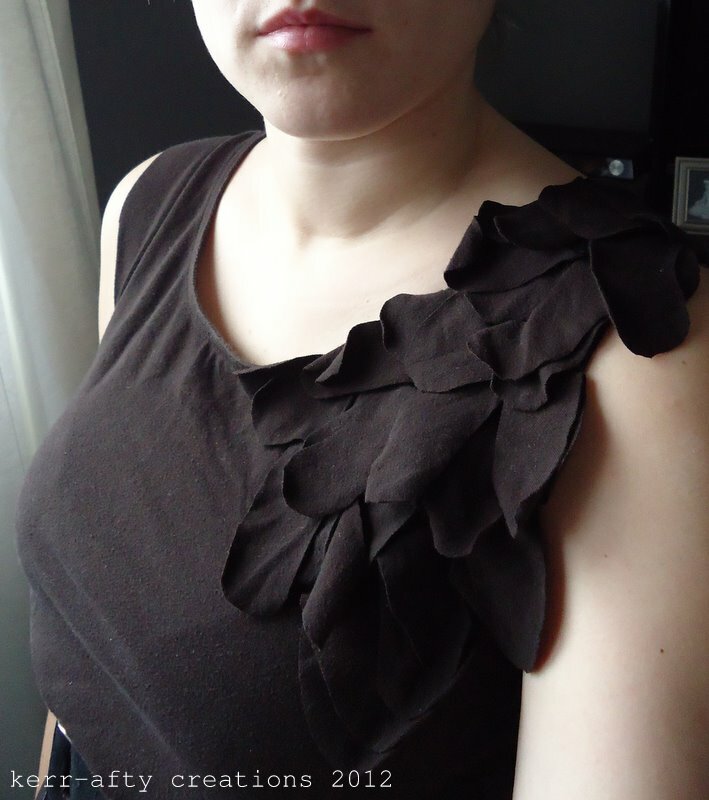 A hand-me-down from a friend, I had never worn it with either pregnancy ( not really flattering, more frumpy then anything), so I decided to cut it up! 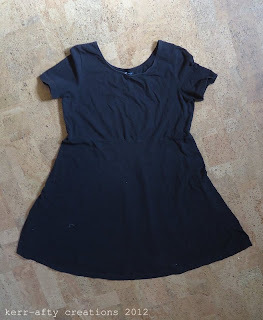 I cut off the sleeves and added pleats around the whole thing (I never measured because I intend it to be worn with a belt). 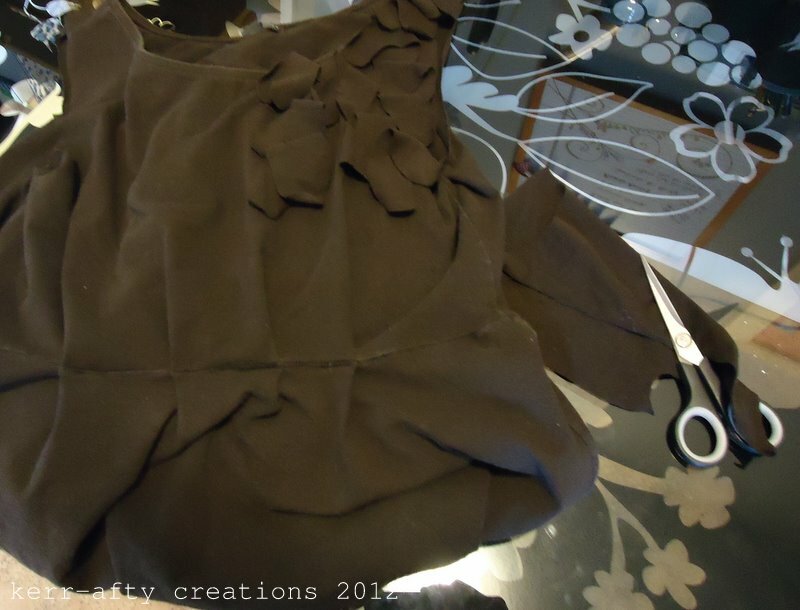 I then used the sleeve material to cut long oval'ish' shapes which I folded in half and pinned into place on one shoulder. 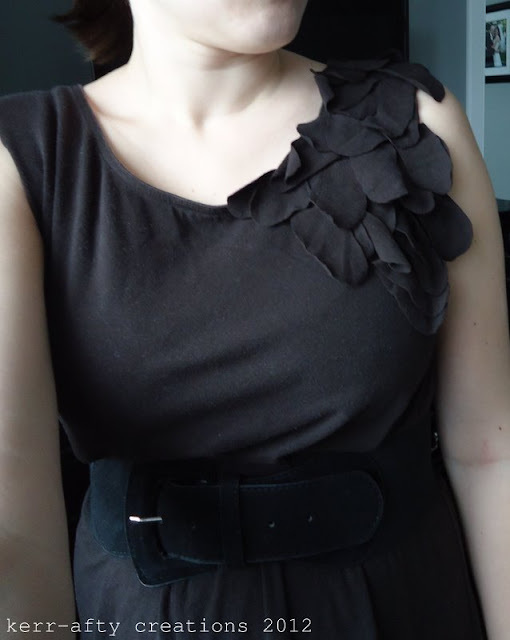 Like I said in this post, I don't really enjoy self fashion-portraits and I forgot to get someone to take one of me in the dress on Easter (silly me). Cute huh? 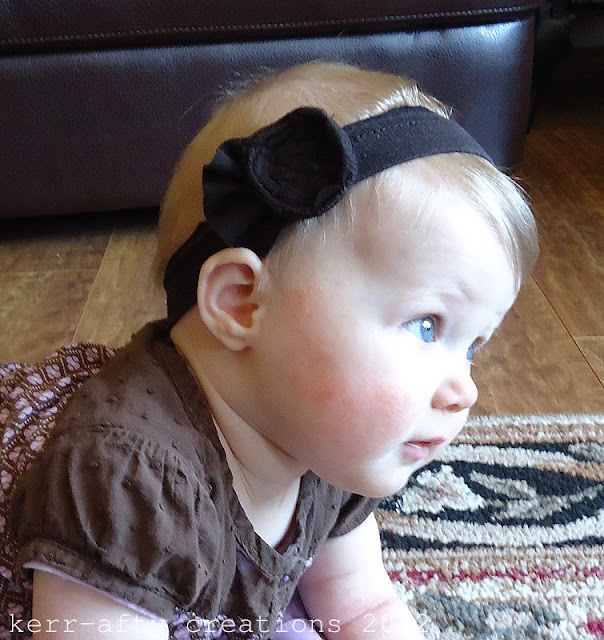 I mean the headband, but my baby is pretty cute too! You looked great in that dress on Easter! Very innovative and cute.. both of you!